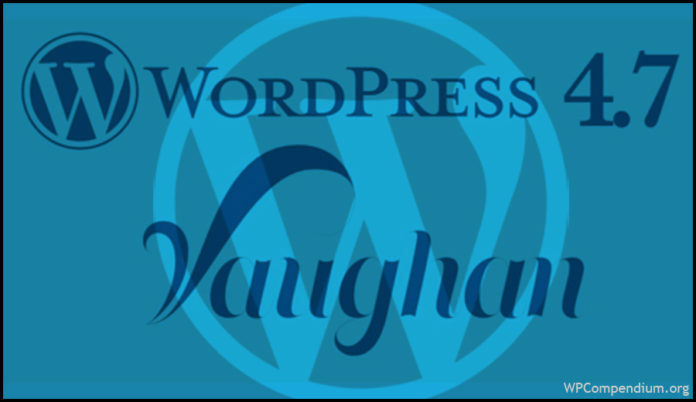 On the honor of American legendary jazz vocalist Sarrah “Sassy” Vaughan, WordPress 4.7 “Vaughan” is in the news. Introducing Twenty Seventeen Default Theme and WP REST API Content Endpoints, with new theme setup experience, inspiring the tag line “Your site, your way” and much more, for the first time for business websites. These new adds on features will help you to setup theme, with non-destructive live previews of all your changes in one uninterrupted workflow. WordPress 4.7 “Vaughan” has some more amazing showcasing new features that worth highlighting. Twenty Seventeen making its debut in 4.7 offers a great multi-section front page feature like, four customization panels on the front page to display existing content, full screen featured images, custom logo upload, along with it brand new core support for video headers. Thus, it provides a great solution to small businesses, as their work can be highlighted in a single page format with large featured images throughout. The Content Endpoints makes WordPress more extensible, as developers can interact with all the major content objects of WordPress such as posts, users, terms and comments. API that interfaces with WordPress enables to create a custom writing interface, use WordPress as a content store and also developers can leverage WordPress to build mobile apps or web using WordPress data. Embedded with these new features and the REST API efforts underway for WordPress can be a game changer, which both developers and regular users will appreciate.